Well HEY, it’s Thursday! Again! The weeks, they are flying by. This week I’ve been consumed with blackberries, new garden designs, and (huge surprise here) lots of popsicles. I’ve also been up to my elbows in (sheet pan) brownie ice cream sandwiches, which I’m making for a friend’s wedding next weekend. Hooray! I was so honored to be interviewed by Emily of Garden Dine Love. She’s so lovely! 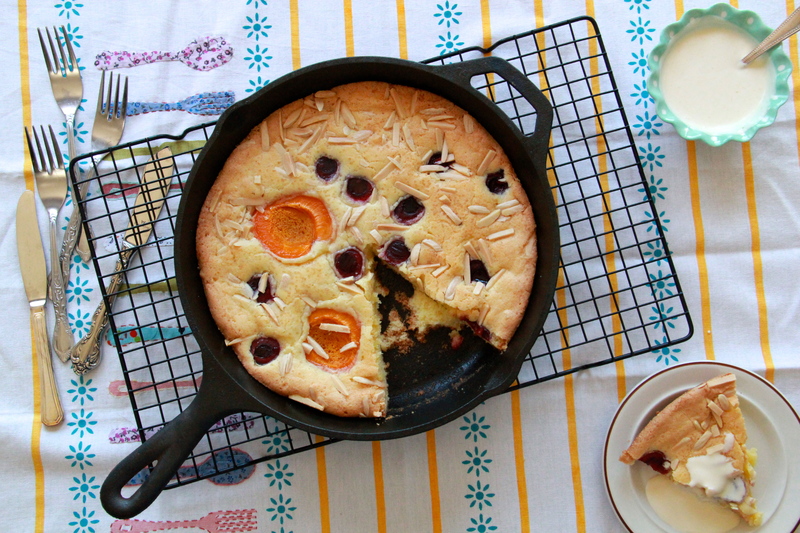 Remember when we made Dorie’s Swedish Visiting Cake with Apricots & Cherries? That’d be a good one just about now. This seems kinda fun, in a temporary kitchen fixer upper kinda way. Did you check out all of the amazing summer drinks featured at the #drinkthesummer boozy bash? So many good ones! In particular, these fresh spritzers, these rosé slushies and this fruity sangria really made my mouth water. Is gluten sensitivity all in our heads? I mean, how cute is Jaques Pépin though? When babies lead modern dance classes.